Today we’d like to introduce you to Yoshio Homma. Yoshio, let’s start with your story. We’d love to hear how you got started and how the journey has been so far. Having structural neck issues, I used to be hospitalized when I was a child and often received surgeries, rehabilitations, and chiropractic treatments. Especially, chiropractic treatments felt attractive to me, in a sense that my body was rejuvenated just by adjusting spines and aligning the body balance. However, I felt that becoming a chiropractor was an unreachable dream that’s above of the clouds. So instead, I became a licensed acupuncturist in Japan. 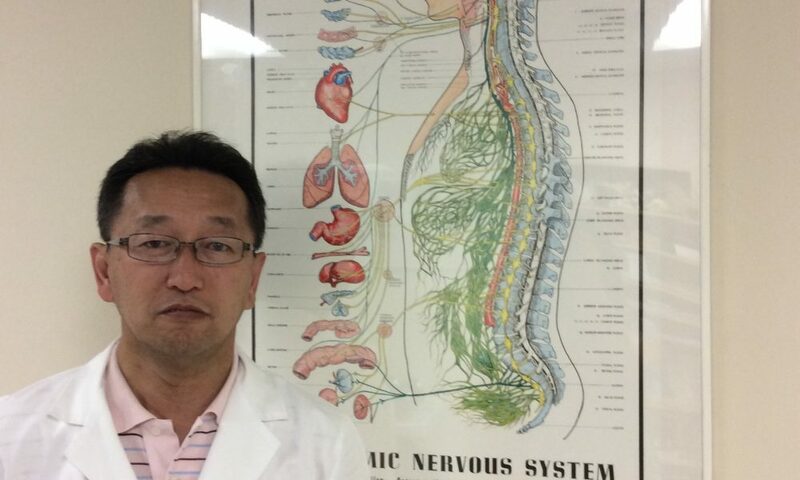 Having opportunities to meet Japanese Chiropractors who studied in the U.S., I started to regain my dream. As a first step and out of curiosity, I traveled to LA and felt very comfortable staying. As I stayed in LA, I started to tell myself that I might be able to go one step above, which was going to a Free ESL class in LA. Due to my visa expiration, I considered going to college, and then my friends and professors encouraged me to go one more step above; which was to attend Chiropractic school. Ten years since the curiosity and wanting to reach my dream, I had finally graduated a Chiropractic College. As a foreign student, I was not allowed to loan tuition and received no support from parents, and yet, there was always someone or something that guided me to go through. After I became a doctor, running a business was whole another story but I’ve never forgotten my curiosity and the hopes to go one step forward. There were many ups and downs until becoming a chiropractic doctor. However, that was not the end. Running and managing my own clinic was one of the most challenging things to do. Especially around 2005, it was the most difficult time to run a business. Because of the economic change, many Japanese people who lived in the Little Tokyo area went back to Japan. Little Tokyo became quiet and empty, and many shops closed during that period. Alright – so let’s talk business. Tell us about B.E.S.T. Chiropractic Clinic – what should we know? Our office is focused on chiropractic and holistic treatments that will empower natural healing energy in our body. Chiropractic, Acupuncture, Aroma, and therapeutic exercises will improve structural, chemical, and mental balance as a whole. We maximize innate the ability to heal yourself without the use of chemical or artificial forces. Like how organic food is becoming the base for many for the health benefits, holistic medicine will lead our future. We are proud to serve our community for 25 years. Valuing Japanese culture and identity, we are putting effort to keep the high standard of hospitality. Also, we do our best to be open and clear about medical expenses, so that there are no hidden fee or surprise. Everyone who is around me deserves to be credited for who I am right now. If I need to express my gratitude specifically, I would like to thank my parents. They provided me support mentally and was always open to accept me for who I am and always expressed that they’re on my side. Even though I have never asked for their help after I decided to come to LA, just knowing that they are always there for me was the source of my peace and energy. Also. Dr.Nakagawa who taught me chiropractic techniques. He is a distinguished doctor who is generous but had a strong heart to guide others. Not only his well-experienced knowledge and techniques raised me up to become a doctor, but also his warm and humble attitude to care for his patients and strong pride as a professional. There are many friends who spent time with me, learned new things together, and supported each other. They reminded me of who I am and whom I can be. Address: 430 E. 2nd. St.